EVEN WHEN YOU HAVE EVERYTHING TO LOSE. The measure of a young man can be a funny thing, especially when the results are not what anyone expects. Eighteen-year-old Evan Nash doesn't look like a hero. Nor does he feel like one. He's not trying to be anything. Dr. Shannon Mayer sat next to her daughter, staring down at her beautiful brown hair, still unable to believe it all. It was a miracle in every sense of the word. Ellie was leaning forward, drawing on a large piece of paper atop her mother’s desk. She didn’t know what “play therapy” was, nor could she understand that it was just the beginning of a very long recovery. To her, she was simply home. Shannon studied Ellie’s picture. Drawing was a common technique for helping victims externalize traumatic memories and to bring them out where they could be dealt with. But it would take time. A long time. So far it had only been a week, and Shannon was still reeling from the shock of finding Ellie alive. She had been missing for over eighteen months, kidnapped and held by a lunatic with a deeply disturbed view of the world. Someone who wanted something much more from Shannon Mayer than just her daughter. He wanted Shannon herself. To make matters worse, Shannon and her husband had long since reached the end of their ropes. Suffering from exhaustion and depression, both were drowning in their own despair when the miracle they so desperately needed walked into their lives. She heard a knock on the door and gently placed her hand on Ellie’s back as she stood up. She crossed the eerily silent room, with her steps making only the slightest sound against the thick, ornate carpet. When she reached the door, she glanced back at Ellie, still coloring away. Shannon’s emotions were like a series of ocean waves, washing over her again and again. Disbelief that Ellie was actually home, followed by a sudden and overwhelming sense of elation. Then came the dread of knowing what truly lay in front of Ellie: a lifelong effort to repair the damage, emotionally and mentally. Shannon took a deep breath and reached for the door, pulling it open. “Hi,” he said, stepping into the room. He spotted Ellie at the large desk with the paper in front of her. Ellie wore a beautiful white dress with blue and green flowers, and her hair was pulled back into a ponytail. She stopped drawing and looked up at Evan. With a smile, she quickly jumped up, trotted around the desk, and wrapped her little arms around his waist. Dr. Mayer held her hand softly over her mouth as she watched the tender moment. Evan Nash was her miracle. Not just for Shannon but for her entire family. If it weren’t for him, Ellie never would have been found in time. If not for his accident. It all began with a serious accident, seemingly common by any other standard until the young high school student began experiencing strange visions. Visions which Shannon Mayer suspected were illusions caused by a concussion during the accident. She continued having doubts even when Evan reported “seeing” strange images. It wasn’t until she tested him for herself that that she became a believer. For his sake and for hers. Shannon eventually realized that Evan wasn’t experiencing illusions or hallucinations. Instead, he was seeing something very real. But there was something more frightening below the surface. His body was experiencing very dangerous reactions during the episodes, reactions that even now, were still trying to kill him. And as the visions increased, so did the harrowing toll it took on his body until he eventually ended up in a coma. And yet, through it all, after recovering and even in the face of danger, Evan sacrificed it all, using his “curse” to find Shannon’s missing daughter. And find her he did. But Evan was still in danger. The visions had not dissipated even with medication. Nor did his symptoms weaken. The drug was only masking the problem until help arrived. Help in the form of Shannon Mayer’s sister, Mary. 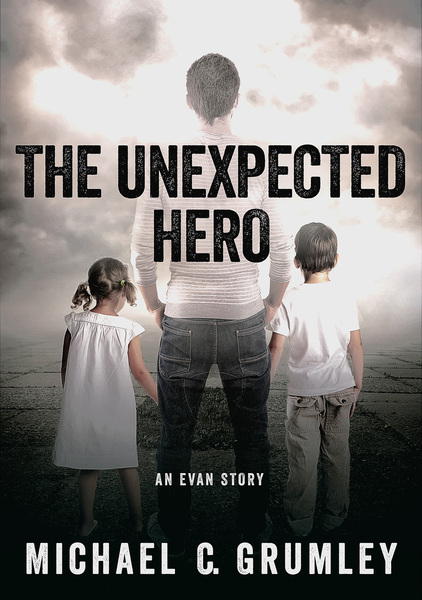 While Evan was in the hospital, Mary and a friend had discovered something startling. A piece of information, which gave them hope that Evan might survive after all. But that hope was resting on little more than an old medical journal and two nurses hell-bent on locating one individual reportedly to have had the same symptoms as Evan’s; twenty years before. That person had made every effort to disappear and even managed to have himself declared dead. What he wasn’t expecting though, were the brains and tenacity of both Mary and her friend. Not only did they eventually find him…but Mary was bringing him back with her, today. He nodded from beneath a head of straight, light-brown hair and moved away from the door, stopping next to the familiar leather chair. “Incredible.” She was happy to see Evan excited, even for the moment. He had done so much for her. Things she would never truly be able to pay back. But it didn’t mean she couldn’t try. It would be a breach of ethics to compensate him directly. However, Glendale was a fairly well-to-do city just outside of Los Angeles, and over the years Shannon had garnered a lot of favors through her practice. She couldn’t pay Evan anything but that didn’t prevent her from making a few phone calls. “And how are you feeling?” she asked, changing the subject. It was the pain that had nearly killed Evan. Or more specifically, the internal trauma that was causing it. It traced back to his accident and was the reason he had come to her in the first place. A meeting she never dreamed would result in Evan risking his life to save her own daughter. Because she had received a call from her sister that morning, she thought. A call that told Shannon she needed to see Evan as quickly as possible, and put an end to the medication. Shannon glanced at her watch as another knock sounded from the other side of the door. Shannon glanced at the confused look spreading across Evan’s face. She then headed toward the door, arriving just as her sister, Mary Creece, entered behind Tania. Her sister looked tired, but her eyes intently swept the room, looking for Ellie. When she spotted her niece at Shannon’s desk, Mary immediately frowned and began crying, holding her arms out. She dropped to her knees as Ellie jumped from her chair and ran to her, throwing herself into her aunt’s arms. A tall, older man stepped into the room behind Mary. His hair was thick and gray, and he was dressed in a worn flannel shirt and jeans. Shannon knew exactly who the man was, although he looked very different than she was expecting. Especially considering the incredible trip her sister had undertaken to find him –– a man who had gone to great lengths not to be found. But Daniel Taylor was the only one. He was the only person who understood what was happening to Evan. He understood because he had the same unimaginable affliction. Evan didn’t respond. Instead, he took a nervous step backward and glanced at Dr. Mayer. Taylor followed him, stepping closer. He towered over the teenager and looked him up and down, assessing. Evan tried to retreat further but ran into the arm of the chair. Taylor turned around and looked at Shannon. He motioned toward her daughter, Ellie, and Mayer took the hint. Everyone waited as the two crossed the room and gathered Ellie’s things. Walking back toward the door, Shannon knelt down and gave her daughter a warm squeeze and kiss. He looked nervously to Dr. Mayer. Rounding the chair, he took another step backward. He was right. Evan had just met the man…but he did believe him. The episodes were rapidly becoming worse again, just like before. And last time he’d ended up in the hospital and barely made it back out alive. He looked back at Dr. Mayer, who quietly approached from behind Taylor. Unlike Taylor, her expression was calm and reassuring. Evan promptly stopped his retreat when his right calf bumped against the psychiatrist’s leather couch. Evan stared at them both before reluctantly nodding. He knew. That morning he was barely able to get out of bed. It felt like his heart simply wanted to stop beating; something he’d never felt before. And it scared the hell out of him. Until recently, most of the stress his body experienced during an episode, he couldn’t even feel. Not until he came out of it. But now he could feel it even when he was unconscious, while he was having the vision. And now it was happening every night, without fail. After what had happened that morning, Evan was petrified to go to sleep again. Evan’s composure softened and he reached to the side, leaning slightly on the arm of the couch. Dr. Mayer had told Evan they’d found someone with the same disorder. He didn’t know what he had been expecting, but it sure wasn’t this. Evan felt a streak of nervousness run down his spine as he thought about something Taylor had just said. Any day could be the day that he didn’t wake up again. What if that day was today? The airport, or LAX, was located sixteen miles from downtown Los Angeles. It was the sixth busiest airport in the world as measured by passenger traffic, serving over sixty-three million passengers a year. Yet it was LAX’s fifteen thousand open parking spaces that also made it an ideal destination for finding a throwaway car, complete with a fresh set of plates. Most cars parked in a lot near a major airport weren’t expected to be used for at least a few days, providing him more than enough time to use the white minivan before disposing of it. This one even had plenty of gas. A hundred and fifty miles later, he reached his search area and began circling. The farther away from where the car would be reported missing, the better. He’d always mused over how much of the public’s knowledge of child abductions was wrong. The vast majority were not committed by strangers, but by family members or acquaintances. Only a fraction were strangers, which in the end, made it that much easier for him. It meant the initial investigation would concentrate primarily on those with some form of connection to the child and, therefore, take several more days before anyone considered someone like him. He scanned the streets noting the perfectly maintained hedges and trees. The neighborhood was, of course, another help. The more affluent, the more denial everybody was in. Feeling secure behind their metal gates and gleaming security patrol cars, the well-to-do never suspected that they were in fact the ideal targets. Their affluent children were wrapped in the bubble of false security even more tightly than their parents. They asked for everything, did nothing, and expected it as some kind of birthright. It made them weak. Mentally fragile. And all the reminders in the world wouldn’t prevent them from getting into a strange car, given the right amount of incentive and fear. A simple question, getting them close enough to the car to see a gun pointed at them, was all it usually took. He finally spotted a girl walking by herself on the sidewalk and checked his rearview mirror. The street was almost empty. He pulled over a couple of houses ahead of her and simultaneously slid his hand under a dark piece of cloth on the passenger seat. She looked perfect. It was easy when you knew what you were doing. This time, the whole thing took less than twenty-five seconds. Michael C. Grumley has a gift for developing characters you really care about and gripping plotlines that keep you completely absorbed!